Fort Pickering was built in 1871 and serves as a navigational guide in Salem Harbor at Winter Island, in Massachusetts. 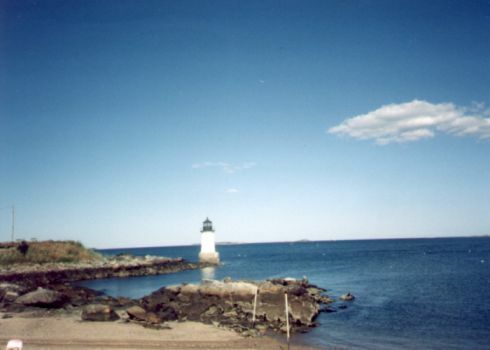 The lighthouse was originally built to guide vessels into the busy harbor of Salem, but once construction was completed, the harbor traffic had significantly decreased. The white cylindrical tower stands 32 feet tall and is now maintained by the city of Salem.